All the entries description fields are supports rich text formatting (RTF), images, tables and hyperlink insertion. Here you can change fonts, paragraph formatting, add bullets and background etc. 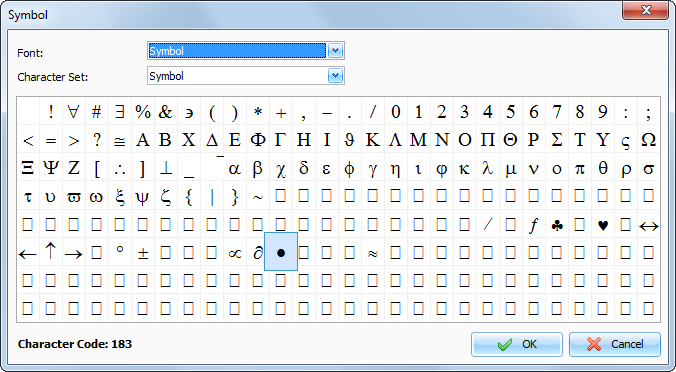 Text editor allows to insert text from file, images (even animated GIF files), special symbols, horizontal lines, tables etc. 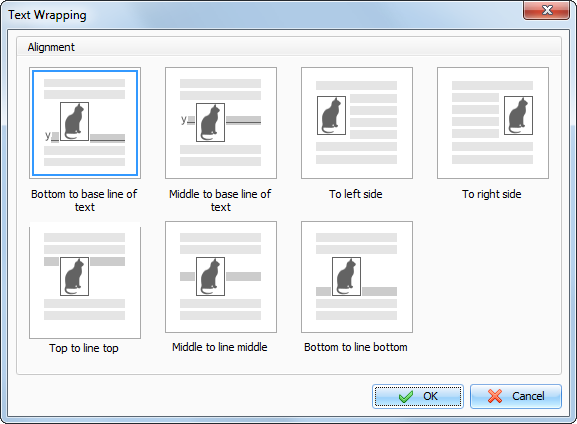 Here you can change paragraph alignment, colors, borders, indentations etc. 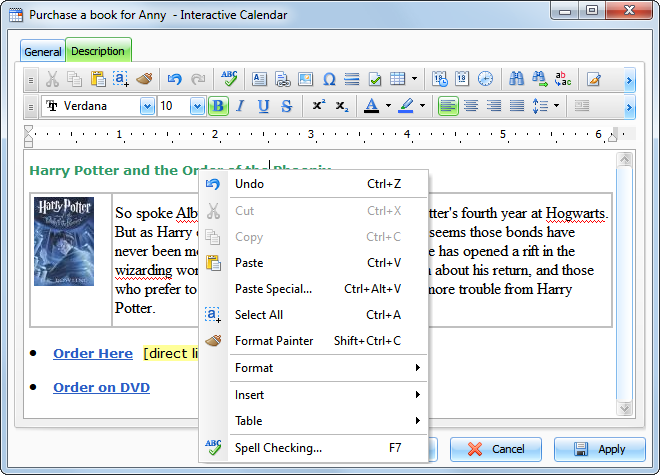 Interactive Calendar supports various text wrapping types. To set up a text wrapping around the pictures, please select a picture, or put cursor after picture. Then click the "Text Wrapping" button. Just select any text wrapping type and click the "OK" button. To create a hyperlink inside a document, click the "Hyperlink" button. 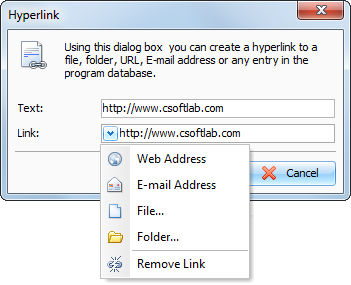 The dialog window that creates hyperlinks will appear. You can add a link to any URL, email address, any external file or folder. Select Font and necessary Symbol and click the "OK" button. 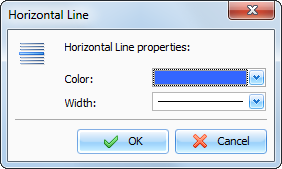 Select the Horizontal Line color and width, then click "OK. 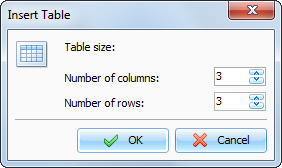 Select the number of rows and columns in the table and click "OK.
To change the cell colors in the table, select "Table - Cell Color" popup menu item. To change the table settings, use the pop-up menu with additional functions. 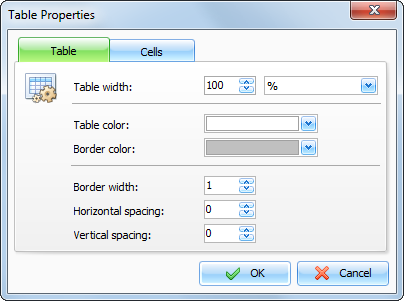 In this window you can change Table width, colors, spacing etc. Background Color - here you can choose a color for background. To add a picture, click the "Open" button and select desired picture file. Interactive Calendar comes with some background pictures. You can find them in the "...\Interactive Calendar\Backgrounds\" folder. To save current background picture to a file, click the "Save" button. To remove picture from background, click the "Clear" button. 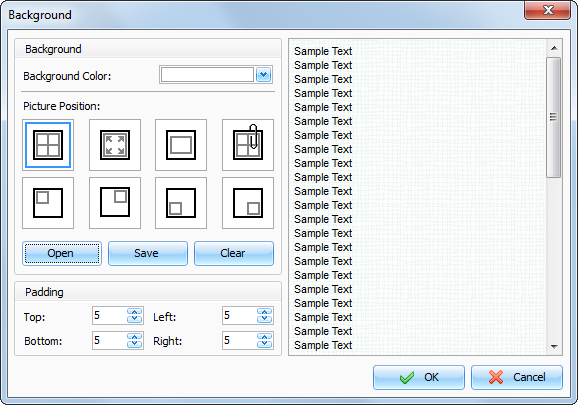 Picture Position - if the picture is selected, you can set up its position: Tiles, Stretched, Center, Fixed Tiles, Top Left, Top Right, Bottom Left, Bottom Right. Padding - here you can choose the text editors padding. 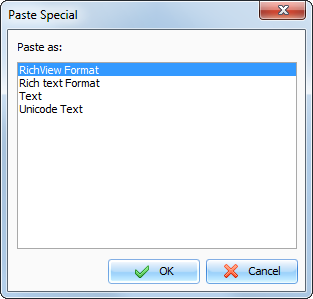 Using this dialog box you can find any words in the text and replace them with the new one if necessary.